Last week we talked about the identity crisis of CX professionals and we urged you to fix any small problem or seam on the customer journey in order to build internal brand equity and buy in. Often, there is another scenario that is equally sub-optimal for your career development. 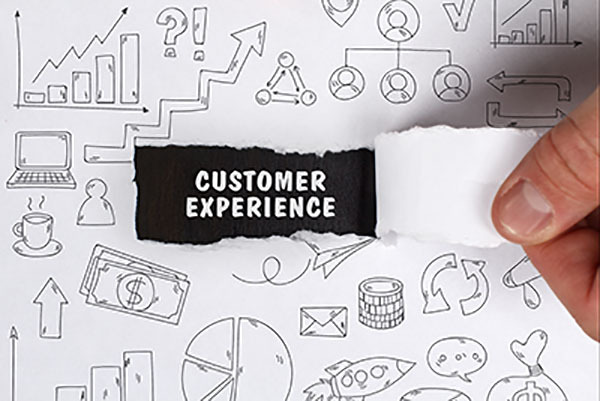 You might be working on customer experience without recognizing it. The trouble with that is that you cannot sell your transferable skills when you don’t know that you have them. We all know the story about the janitor who, when asked what his job was at NASA in 1962, told President John F. Kennedy that he was helping put a man on the moon. Like that janitor, you need to believe that you have a meaningful role in your organization. If you think you have a CX job, you will have a CX job. In our CX skills post late last year, we featured IT as a transferable CX skill. As a developer designing the web experience for a retail brand, for instance, you are responsible for the customer experience of all your customers. You have a bigger impact on the CX experience than the CEO. The empathy and CARE you use in your design and development defines how seamlessly your end users go through the intended functionality of the web experience. When you are a Business Analyst in IT and you fail to put in the extra effort to learn what CX experience the business wants to build, you can’t translate those requirements. Your final product will drive poor customer experience. As a BS in IT, you are a key player in the CX ecosystem. Communications and access to real time, relevant information is an immediate pain point for customers across industries. Yet, there are so many failed opportunities to deliver customer experiences that make people feel good about your brand. Hospitals are infamous for this side of the CX journey. As a patient I have been going to the same hospital network for more than ten years. Yet, I do not have access to my CT scan results. I had to dig out a receipt of my CT scan payment from 3 years ago so I could call the service center, go physically to the facility again and get a hard copy of my CT scan to avoid paying again for it. If you are working on building or improving any side of communications with customers, you have a very important CX job. As a communicator, you hold the solution to a myriad of customer pain points. You are the person who can make or break customer relationships with your brand. In the airline industry, the most irate customers I have ever interacted with are those who were not even given a chance to make the right decisions as a result of failed communication: either because we gave them the wrong information, or because we kept them in the dark. We all have customer experience jobs. If we do not follow through to fully investigate a customer complaint and to use that complaint as a trigger to fix a process or procedure, or to break an organizational silo, we all fail our customers. The devil is in the details. Spending time building end-to-end journey maps is not always productive. Chasing down a process inefficiency that repeatedly creates bad experiences and fixing it one complaint at a time is a good use time for all of us. Last but not least, if you CARE about your customer, you have a CX job. If you are managing a station and have a cancelled flight that is flying a day later, making sure that the original seat numbers are unchanged is a customer experience action. Because, guess what? For the customer, this is a given. And the customer really does not care how much effort it is for your airline to deliver that SIMPLE courtesy to him/her. If this is hard to deliver due to an internal organizational inefficiency, it is a good candidate for your next CX project, and an opportunity to flex your CX skills. Sign up to get in your mailbox the third post of our CX Skill Builders Series. Next week we will talk about how to sell your CX ideas to obtain funding with your senior leadership.